These Dash Cams are what all the rave is about! If you were ever worried about proving anything that happens on the road that time to worry is officially over with the TadiBrothers Dash Cam. If anything at all happens to you it will be recorded in high quality color for anyone to see, from the police, to the courtroom. This camera records in a continous loop so you never miss a thing, you will always have this camera protecting your when driving anywhere at anytime. This TadiBrothers Dash Camera also automatically records when starting up. So every time you start your car and start driving its working for you, giving you the peace of mind and security of your Dash Cam. This Square Dash Camera has two HD cameras (1920 x 720P), one for behind you and one for the front. You can of course swivel the cameras anywhere you want using the square blocks that pivot. The system actually speaks to you when you press the buttons so you can safely hear what you are pressing without looking. It can also continusly charge while recording so you are never without your camera. There is also a "camera" mode so you can take photos instead of video. The video and photos can have time stamps as well its up to you. There are plenty of great features this product has such as Auto Shutdown mode as well as many others. You can record anything you want, from your cars to your children. It will record everything your camera sees and it will retain that information for you. The ultimate safety net! This dash cam also has a big easy to access buttons. It also have the cameras set in the middle and they are easy to swivel back and forth. 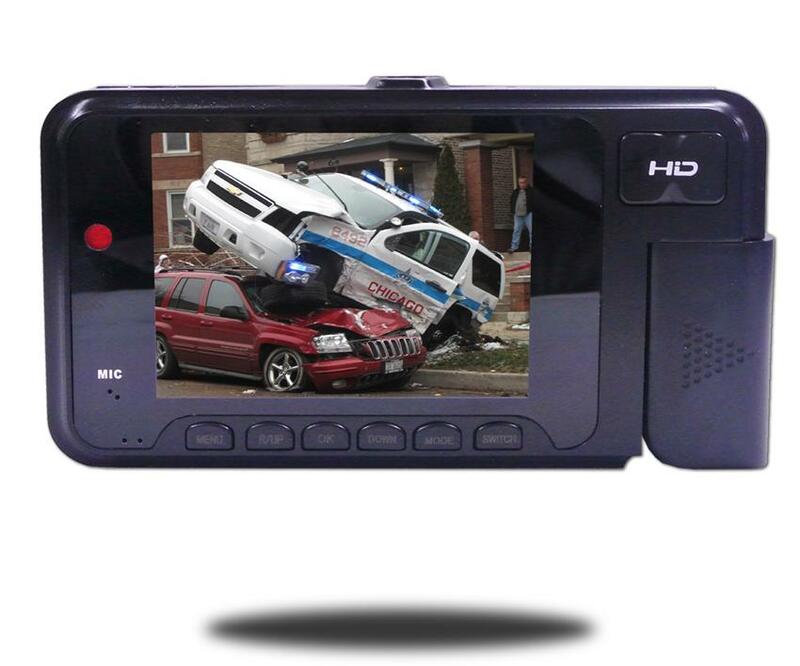 This dash camera also plugs into a television or computer for viewing on a larger monitor. You can also download the information to your computer for save keeping.